So many folks have fallen in love with my little vintage sketchbooks, that I finally have created the workshop that many of you have asked for. I'm ready to share with you all of my discoveries for what has become my absolute all-time favorite doodling sketchbook. There is so much character in making an old book your personal and customized sketchbook. And while there is much money to save over the store-bought ones (definitely a selling point), the extra bit of work is soooo worth it. A vintage sketchbook is a unique and cherished keepsake. I've had people want to buy mine several times - there is only one answer to that - thanks, but no way! *materials list will be available upon registering. 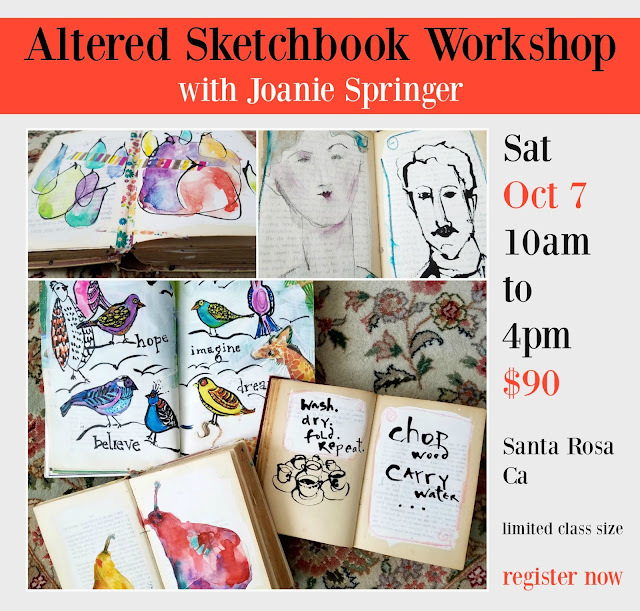 This workshop is not specific in terms of media...so bring what you have and what you love to doodle with the most. I will bring all the stuff I love - like ink and sticks, and oil pastels, chalk, all sorts of water soluble crayons and the like. a few different and easy way to make other types of sketchbooks for fun, travelling and carrying in your purse or bag. I will definitely give it some consideration, Suzanne. I used to make videos fairly frequently and have gotten out of the routine. Thanks for the nudge. 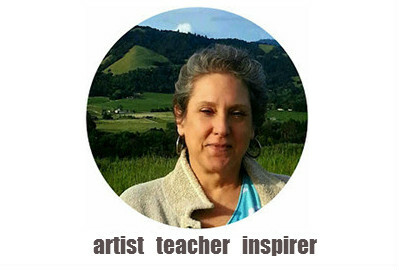 Why should distance keep us from learning and experiencing art and creative endeavors???? Blessings.